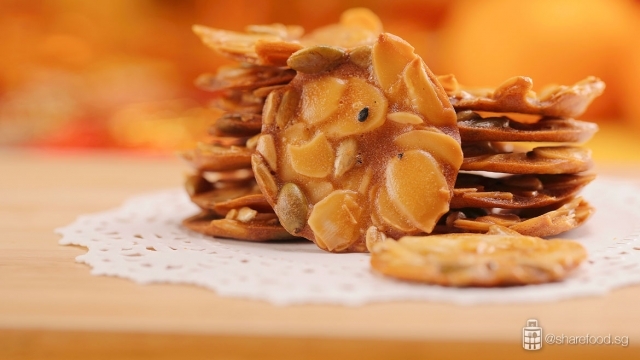 Florentine biscuits originated from Italy and it is a sweet pastry made from nuts and candied cherries. For those of you who are much more health conscious, don’t worry! 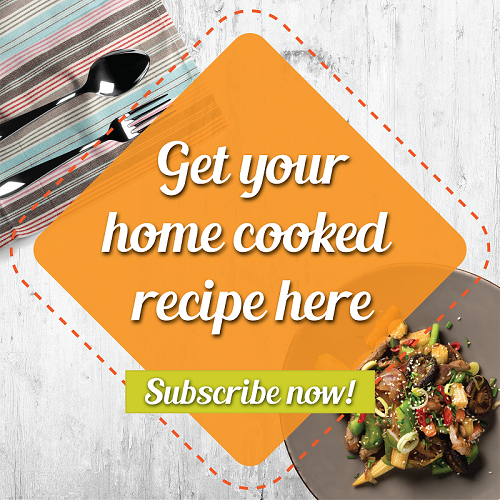 We have the perfect recipe for you. 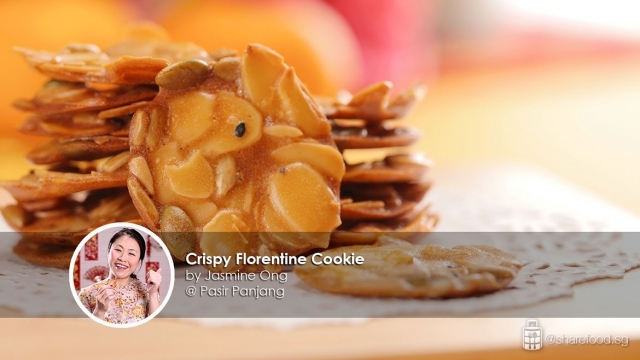 This crispy Florentine cookie is shared by Jasmine Ong, who specializes in baking. For those of you who are much more health conscious, this recipe is perfect for you! 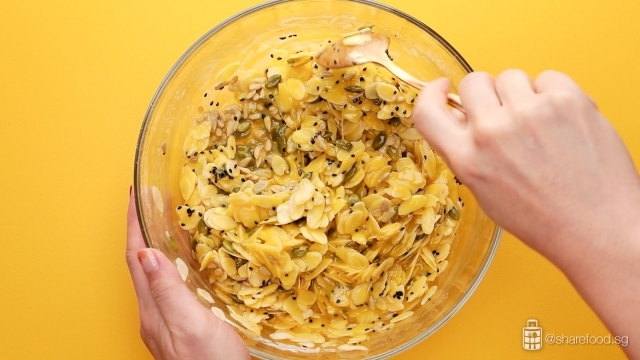 The ingredients needed for this simple recipe are: 40g of Knife Rice Bran Oil, 60g of sifted icing sugar, 3 eggs, 1.5 teaspoon of vanilla extract, 35g of sifted cake flour, 180g of almond flakes, 50g of pumpkin seeds, 20g of sunflower seeds and 7g of black sesame seeds. 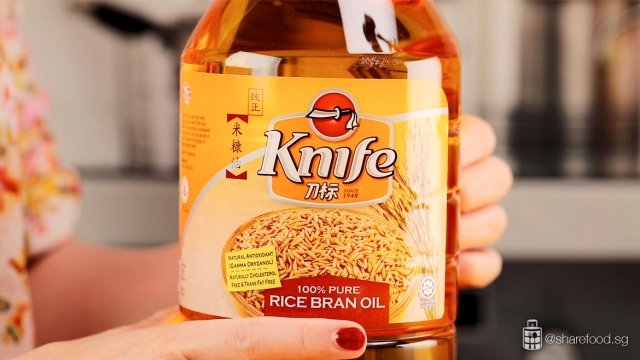 Did you know that Knife Rice Bran Oil is trans-fat free and cholesterol free? Whisk until the batter is smooth with no sugar lumps. Then add in flour and whisk again before folding in the nuts and seeds. First, prepare the batter by adding in icing sugar, Knife Rice Bran Oil and egg in a bowl. Did you know that Knife Rice Bran Oil is trans-fat free and cholesterol free? The oil helps to hold all the ingredients together and it is also high in antioxidant which is known to lower the risk of cancer and heart diseases! Whisk until the batter is smooth with no sugar lumps. Then, add in flour and whisk again before folding in the nuts and seeds. Draw circles of 5cm diameter on one piece of the baking paper and lay the other baking paper over. 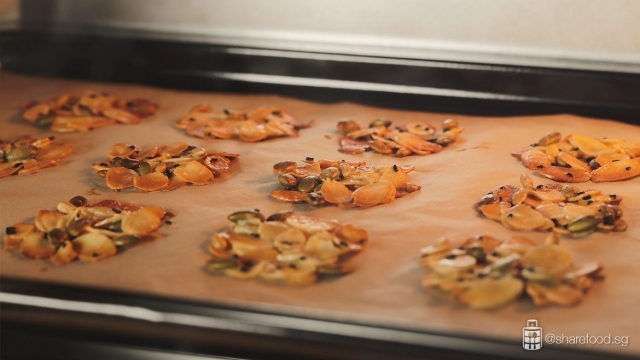 Secondly, pre-heat the oven to 140oC and cut out 2 pieces of baking paper to fit the baking sheet. Draw circles of 5cm diameter on one piece of the baking paper and lay the other baking paper over. Spoon 1 teaspoon of batter with nuts and place it on the circle to spread it out thinly. Spoon 1 teaspoon of batter with nuts and place it on the circle to spread it out thinly. You can use a tweezer to spread it out as thinly as possible so that the crispiness will last when it’s kept in the air-tight container. 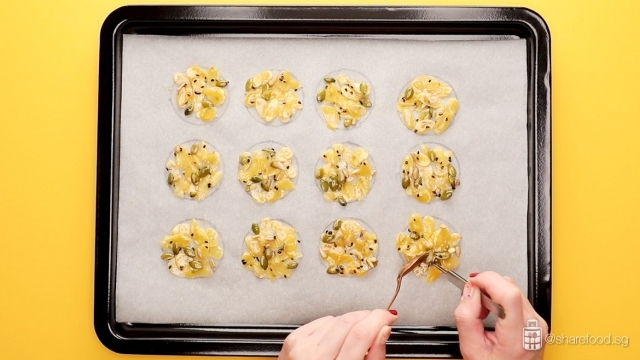 Or, you can showcase your creativity by shaping these Florentine cookies however you like! But remember to leave enough space between each cookie! Then, place it in the oven to bake for 15 mins until it turns golden brown. Store these nutty and delicate crisp cookies in an air-tight container so that the crispiness will last! 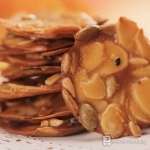 Store these nutty and delicate crisp cookies in an air-tight container so that the crispiness will last! 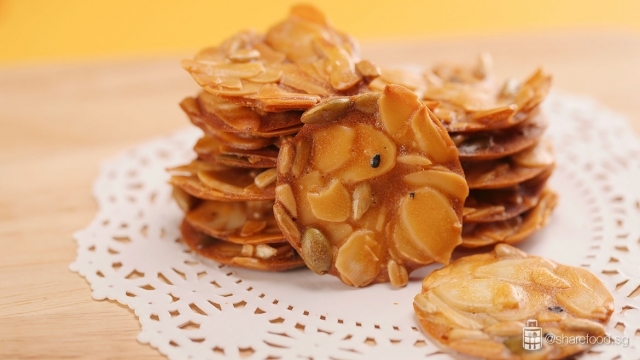 They are perfect for everyday snack and remember to share these cookies with your neighbours! They can be a good conversation starter. Add in vanilla extract and the nuts and seeds, fold in till well mixed. Cut out 2 pcs of baking paper that fits the baking sheet. 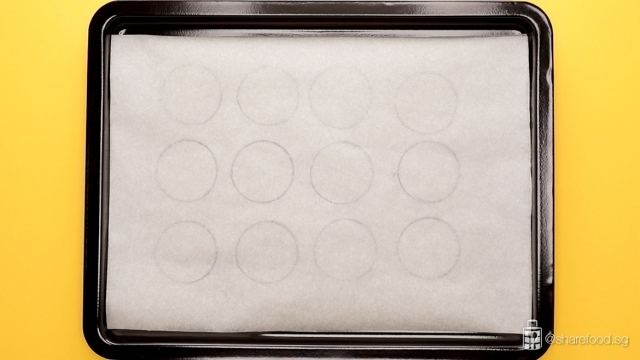 On 1 pcs of baking paper, draw circles of 5cm diameter. Lay another baking paper over. Spoon 1 tsp of batter with nuts, place it on the circle and spread it out thinly. #Tips: Use a tweezer to spread it out as thinly as possible, so that the crispiness will last when it’s kept in the air-tight container. Bake until golden brown for about 15 mins.